The Magic Studios Demo Reel is a small sixty second sample that demonstrates the quality of our audio production work. 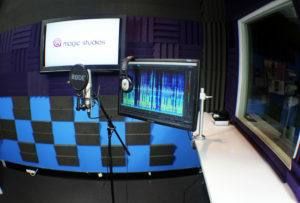 Magic Studios have been recording voice over artists for over 15 years. Whilst our studios are based in West Perth our work can be heard Australia wide! You can either listen to a full list of our Male and Female Voice over talent with more audio production samples or simply click on the icon below to listen to our Magic Studios demo reel.